Since opening in 1968, the attorneys at the Joye Law Firm have worked diligently to help the people of South Carolina in their most difficult times. Our attorneys have more than 110 combined years of experience in providing people with the legal assistance they need. At Joye Law Firm, we handle a wide variety of personal injury cases. Our firm is fully dedicated to helping South Carolina injury victims obtain the fair accident compensation that they rightfully deserve. Our personal injury attorneys frequently handle cases involving devastating conditions like broken bones, traumatic brain injury (TBI), spinal cord injuries, paralysis, burns, birth injuries, medical complications, back injuries and more. At Joye Law Firm, we understand that these types of injuries can cause lifelong disabilities and hardship for victims and their families. It is important to contact a personal injury attorney as soon as possible following your accident. Founded by Reese I. Joye, our firm started in 1968 with the mission of helping people during some of the most difficult times of their lives. A tenacious litigator who focused on protecting the rights of individuals, Joye tried hundreds of cases before juries and authored several legal books during his more than 40-year legal career. Founded 50 years ago, we've helped thousands of South Carolinians recover from serious injuries. We care about our clients, and it shows. In 1997, Joye Law Firm brought a lawsuit against Daimler Chrysler for more than $262.5 million, winning the largestsettlement in South Carolina history and one of the largest settlements against a car manufacturer in the United States. Joye Law Firm is led by attorneys who also are leaders in the South Carolina legal community. Senior Partner Mark Joye and Managing Partner Ken Harrell set a standard of excellence for our accomplished legal team. We actively support local education, local charities, and work to improve the wellbeing of those around us. We are proud of the work we have done to help our community. As head of the litigation department and having represented injured persons for over 26 years, Mark practices what he learned as an Eagle Scout be prepared. He believes his experience has helped him to be prepared for any circumstance and he puts that to good use in and out of the courtroom on behalf of those who have been injured by defective products, in car crashes, and in tractor trailer collisions. 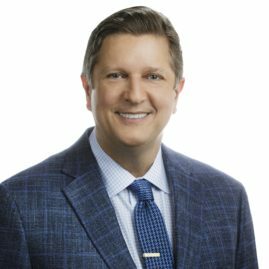 As the managing partner of Joye Law Firm since 2006, Ken Harrell is both diligent in his law practice and committed to the profession. He joined the firm in 1994 after spending six years as an attorney with a large, well-respected corporate defense firm. 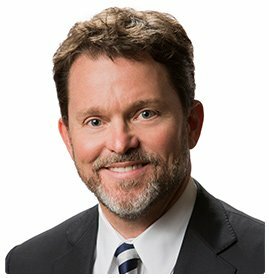 With 30 years of experience, he protects the rights of injured South Carolinians, including cases involving workers' compensation, car accidents, and defective products. Ken also heads up the firm's pharmaceutical and medical device litigation group.